As we approach the new year, CBD oil for dogs has become a household favorite for many dog owners. This is because CBD oil for dogs may relieve anxiety in dogs that are disturbed by loud noises such as fireworks. It is also very common for puppies to take CBD oil for dogs to help them with separation anxiety. Apart from helping cope with anxiety, CBD oil for dogs is also used to treat several medical conditions as well as for preventative care. Here we will cover everything you need to know about CBD oil and how it can help your dog live better and healthier life! 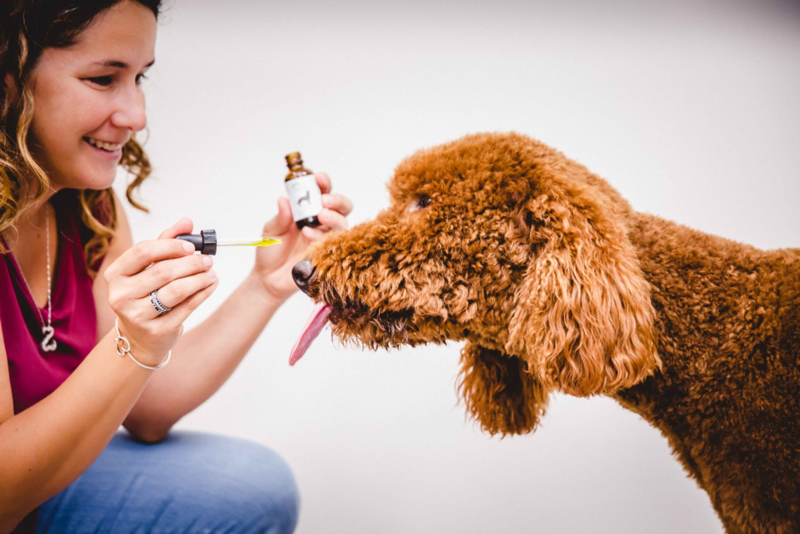 Companies like Medix Wellness produce CBD for dogs which may serve as natural alternatives to medications that treat symptoms of a host of conditions and diseases. More often than not, dogs get prescribed medication that may be difficult to administer or may induce negative side effects. However, because CBD for dogs is all-natural, it does not produce harmful side effects. And because CBD for dogs is either bottled in an easy to use tincture or served as tasty dog treats, administering CBD to your dog will be easy-peasy! CBD is usually given to dogs orally, but it’s imperative to know the correct dosage for your pet. Dosages vary by the size of the dog and its specific condition. CBD for dogs contains no THC, so if taken responsibly, there should be no risks for your pet. It is always recommended to talk to a veterinarian before giving CBD to your pet. Because of growing demand for more innovative ways to give CBD to pets, there are now many new CBD-infused products made exclusively for canines. With the variety of delicious CBD oils and treats curated to man’s best friend’s taste buds, you won’t ever have to stress about your dog not taking his medicine again! Before giving CBD to your pet, it is important to know the product’s ingredients. Several companies use imported goods that may not go through the adequate regulatory procedures as we aby with in the United States. Because of this, it is suggested that you ensure you purchase products from a trusted distributor or vendor. If it is not organic, chances are that is contains pesticides and other harmful chemicals that you don’t want to give your dog. Anxiety is a condition that affects many dogs. Anxiety can be triggered from fear, separation, and even aging. There are many things that can cause dogs to feel anxious due to fear. Noise phobia goes hand-in-hand with anxiety as some dogs become extremely scared when they heard a loud noise. Examples of these loud noises include, screaming, slamming of doors, car engines, and fireworks. CBD for dogs works to reduce inflammation which in return causes pain levels to deteriorate. We all want our pets to be active and healthy. Pain and inflammation can affect dogs tremendously, but with the help of CBD oil for pets, dogs and other animals alike can be one step closer to living pain free! If you decide to seek CBD treatment for your pet, it is recommended that you keep record of how your pet is behaving before, during, and after treatment. CBD reacts differently for each dog, so you need to observe how your pet reacts to the CBD to know whether to reduce or increase the dosage. In the end, CBD treatment for dogs has shown promise for a better natural health solution. Extending the benefits of CBD to pets is one of the best ways to increase their quality of life. Sometimes life can be ruff, but with CBD it doesn’t have to be. For more information, visit medixcbd.com.